New stock arriving first week of May 2019. Order now and we will ship your complete order as soon as the shipment arrives in our warehouse. Shnuggle Dreami® is a multi award winning, moses basket, designed to keep baby close to you but safe in their own cosy sleeping space. 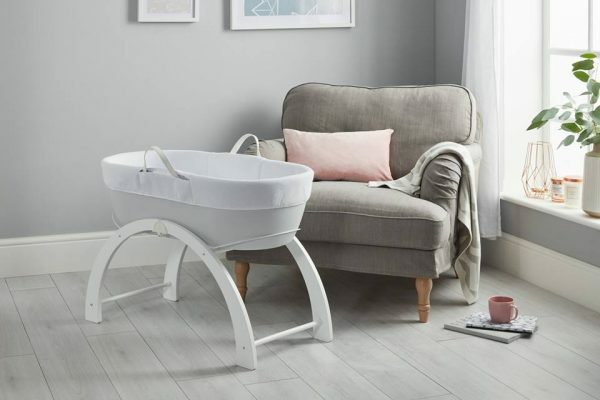 It can be used as a bedside crib for night time feeding and is easily moved around your home during the day – so no need to buy more than one bed for baby. It cleverly converts to a rocker to soothe and calm baby. Baby safety is our number one focus and the Shnuggle Dreami® is designed around Safe Sleep expert advice. 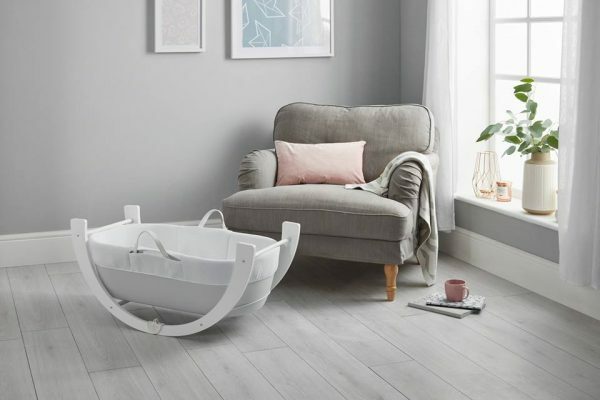 The advice is to “Place your baby to sleep in a separate cot or Moses basket in the same room as you for the first 6 months, even during the day.” As the Dreami weighs only 4KG’s it is easy to carry around (even if you’ve just had a baby). The Dreami® Baby Sleeper has a hypo allergenic, ventilated base and cotton facing breathable fabrics to maximise airflow and help regulate baby’s temperature. 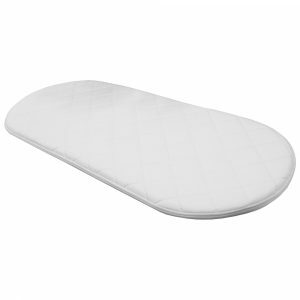 The Dreami® Baby Sleeper base is easy to clean – it can be washed with a gentle anti bacterial cleaner, the fabrics are machine washable and the mattress cover can be removed and washed too. The curve stand that comes with the Shnuggle Dreami can be used in a fixed or low level rocking position. 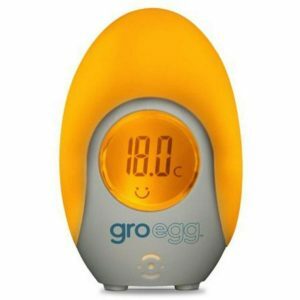 This means you can use it beside your bed or anywhere around your home and gently rock baby is a front to back motion. It is also foldable for travel. This is suitable for children up to 9kg in weight or when a child can pull themselves up, whichever comes first.